Greetings Authentique fans! 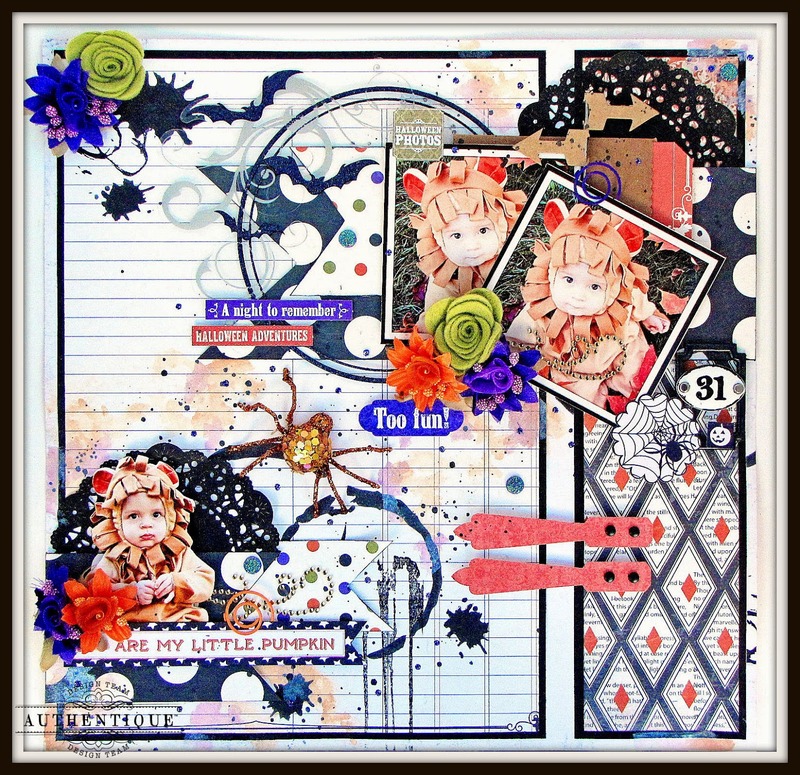 Today I have a layout to share with the use of Authentique's latest Halloween themed collection 'Spirited'. What wonderful papers to capture these Halloween photos of my son taken last year. This was his first Halloween & I dressed him up as a little lion. The colors of orange, black & purple with hints of green & winter white all go wonderful together to create a fabulous Halloween themed project. My journaling was stored in a pocket & tucked behind the photos. The tag inside the pocket was made from a few of the leftover scraps I had from creating the layout. 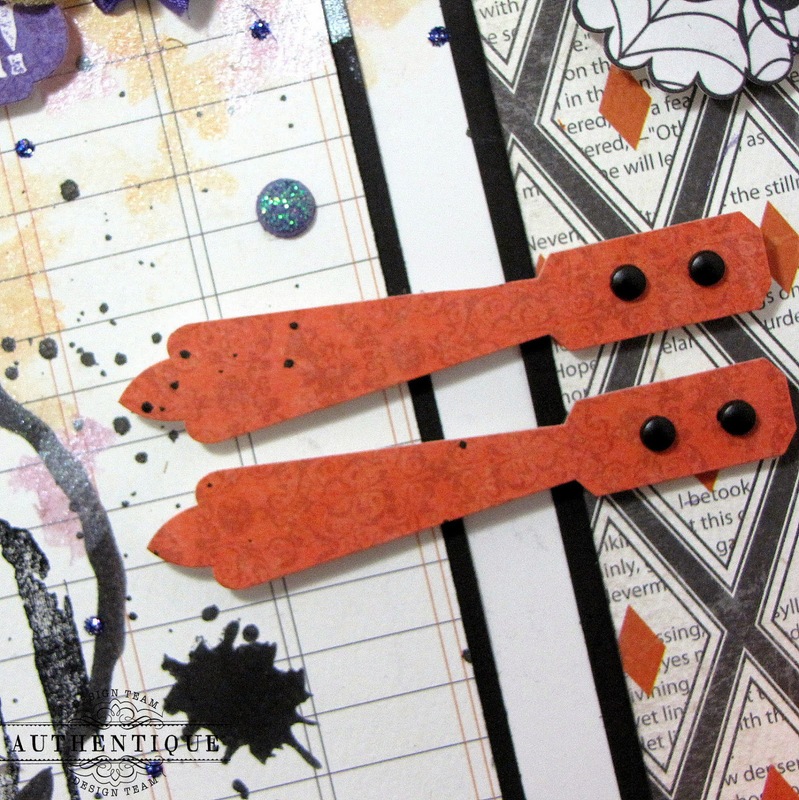 These hinges that are part of the sticker elements found in the collection were a great embellishment for the design of my page. They were placed as if to give off the impression that they're holding my layout together. I did some fussy cutting with one of my sons' photos which I feel I need to do often! I really liked how this came out. To dress up the background I splattered some mists in black & created random splatters in a light orange & purple with watercolors. My design is based on a sketch from Page Drafts. Thanks for stopping by & enjoy the rest of the week! 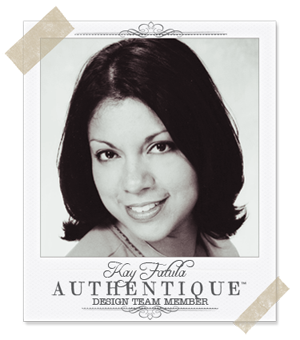 You are definitely one of my favourite artists, Kay! This lay-out is so beautiful and unique! I love your design a lot. Awww, how adorable! Love this layout!